Delaware law enforcement officers implement different strategies to deter drunk driving, including sobriety checkpoints. If you check newspapers and online resources, you may see an article describing an upcoming stop. For example, on Delaware Online, there were five DUI checkpoints reported in the days before the Labor Day 2017 holiday. 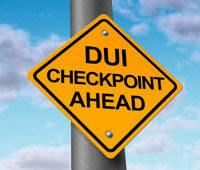 Police often use sobriety checkpoints in locations and at times where they believe there will be the greatest potential for discouraging drunk driving, such as holidays and special events. Mobile DUI stops can be controversial because there are possible violations of privacy and constitutional rights, but they are legal in Delaware. It is never a good idea to put your future at risk by drinking and driving, so some information on how sobriety checkpoints work should be helpful. Still, an experienced DUI lawyer can tell you more about how the law applies in your case. Why do police implement sobriety checkpoints? To make all drivers on Delaware roadways aware that law enforcement officers are in the area, looking out for drunk or drugged drivers. What about probable cause considerations? Sobriety checkpoints are not based upon probable cause or reasonable suspicion of drunk driving, so police do not need to witness anything that leads them to believe a driver is impaired. Rather, they are intended to be a random check where all motorists are stopped for a short time. Once you are detained by officers at a checkpoint, you may be asked to submit to field sobriety or chemical tests if they believe you are intoxicated. Are sobriety checkpoints legal in Delaware? A mobile DUI stop is lawful under state law, though there have been challenges based upon the US Constitution. The Fourth Amendment protects individuals from unreasonable search and seizure without a warrant or probable cause: Essentially, a sobriety checkpoint is a warrantless search lacking probable cause. However, the US Supreme Court has determined that the hazards drunk drivers pose to the public outweigh any claims of civil rights violations. Police must comply with certain requirements when setting up checkpoints to counter constitutional concerns, such as publishing the dates, times, and locations of the stops. If you have been charged with drunk driving pursuant to a sobriety checkpoint in Delaware, an experienced DUI attorney can help. There may be legal challenges to the stop, providing you with potential defenses or enabling you to reduce the charges. A lawyer with in-depth knowledge of state drunk driving laws can identify weaknesses in the case against you and will protect your legal rights. For more information on sobriety checkpoints and other methods police may use to apprehend drunk drivers, please contact the office of Michael W. Modica in Wilmington, DE. We can answer your questions or schedule a free, no-obligations consultation to discuss your defense options.